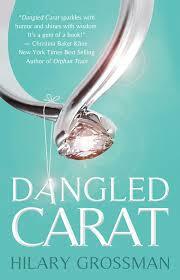 Reviews: Dangled Carat – One girl’s attempt to convert a commitment-phobic man into a doting husband with help from his family and friends is lighthearted, contemporary, and funny! Chick lit readers will be hooked! For every girl who wondered if she should love him or dump him…..
For every girl who listened to her heart instead of her friend’s advice…. For every girl who l wondered if she was wasting her time dating that guy…. She’s trying to get her commitment-phobic boyfriend to pop the question, but things just are not going her way. Their friends, determined to help, they decide to take matters into their own hands and plan a surprise engagement party. Only problem… their meddling may have disastrous consequences for the couple! Blurb: This memoir was a great, light, entertaining read. Almost every woman can relate to this book, especially those that have experienced a commitment phobe, and found themselves in a relationship that seems dead-end, but want more. I liked the descriptive writing style, and found myself rooting for the main character, Hilary. I really want her to have a happily-ever-after. I had no idea what would happen at the end – whether she’d chuck her boyfriend, or whether he’d finally pop the question. If you like realistic, entertaining romances with relatable characters, then you will love this novel. And the title is just brilliant, not to mention the stunning cover.